Jagram Ludlow Lean-To Carport: The Jagram Ludlow Lean-To Carport is an efficient means of providing cover for your car in limited space. 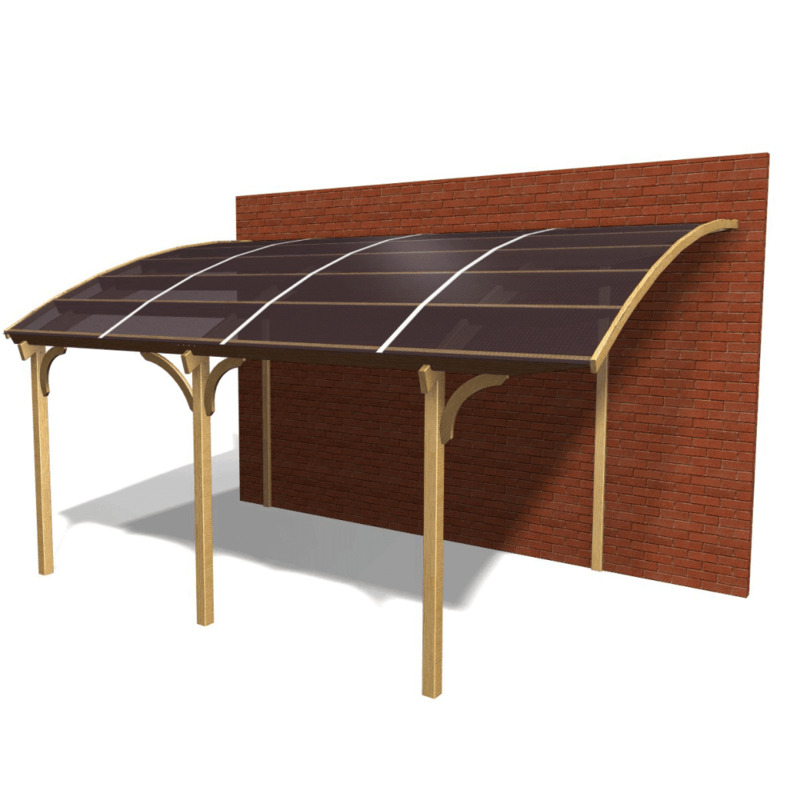 The beautifully crafted wooden frame has curved support beams and offers strong support for the carport roof. The roof itself is transparent PVC, offering shelter and protection whilst allowing the area to remain well-lit. The carport offers protection for your car or workspace from weather and outdoor hazards, creating a light and airy space suitable for many gardens. All wooden components are pressure impregnated with Jagram's advanced formula wood preservative, guaranteeing the structure against insect attack, weathering, and decay for ten years. This carport is designed to be an attractive and space-saving option for providing practical cover for your vehicle, and its 6.5m length can accommodate a range of needs. The wooden lean-to carport is delivered to your address with all necessary fixings and assembly instructions for straightforward construction at home.